Rehab at Seabrook is the beginning of an amazing recovery journey that lifts men and women out of addiction pain and helps them find joy and personal fulfillment. For some clients, primary rehab is not enough to ensure success. 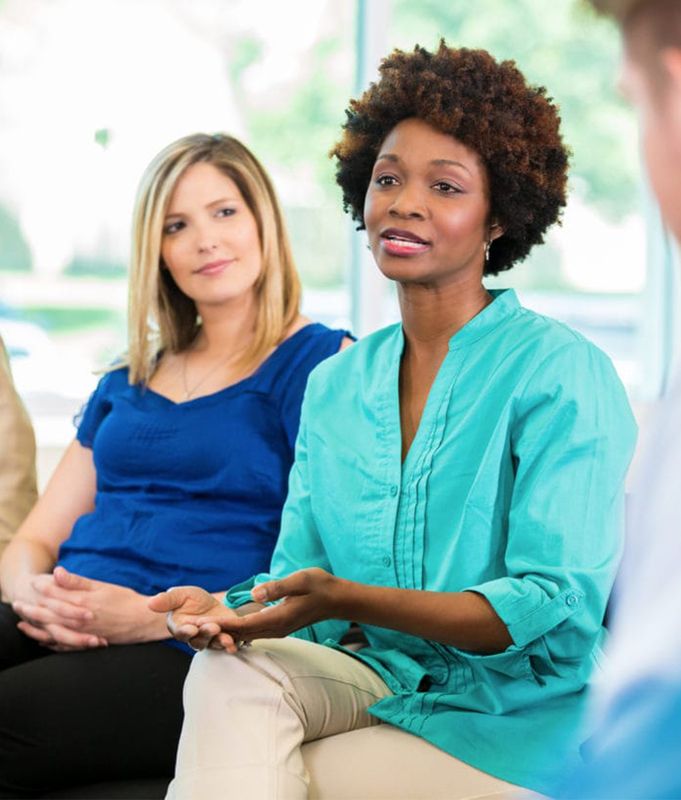 In these cases, Seabrook offers supportive, gender-specific extended care programs that continue our multifaceted treatments for adult women and men. After completing an initial 30 days of rehab, these patients benefit from an additional 12 months spent at Seabrook Extended Care for Women or Seabrook Extended Care for Men, where they gain confidence and strength, practice the affirmation of the 12-Steps and enjoy the love, support and guidance of Seabrook’s inspiring recovery professionals. Seabrook Extended Care for Women is located at our main campus, where women enjoy comfortable accommodations in the recently renovated house and cottage. Facilities feature both private and semi-private rooms and a well-equipped fitness center. Women in early recovery spend a minimum of 12 months in long-term rehab, and longer stays are determined by a resident’s individual progress. Also located on Seabrook’s main campus, our Extended Care for Men includes private and semi-private accommodations in a men’s residence hall. This gender-specific sober living environment includes counseling, clinical services and housing and employment opportunities in a multiphase step-down program. Length of stay is determined by each resident’s individual progress, with a minimum stay of 12 months. While the appropriate duration for addiction treatment depends on the individual and the addiction, the National Institute on Drug Abuse notes that most addicted individuals need at least three months in treatment to significantly reduce or stop their drug use. Studies show that longer treatment durations produce the best results. Recovery is a long-term process that frequently requires multiple episodes of treatment. Relapses can and do occur, and long-term treatment helps individuals better recognize their triggers and learn to manage them. The longer an individual is engaged in treatment, the better their chances for a lifetime of sobriety. Clients have more time to heal their minds, bodies and spirits from the damage caused by addiction. Long-term treatment lends daily support, structure and counseling, which help ease the transition into real life after rehab. Seabrook’s CARF-certified addiction treatment centers offer a robust range of clinical and holistic therapies to provide whole-person healing for recovering clients. From detox to extended rehab and outpatient counseling, our continuum of care ensures that the men and women who start their recovery journey at Seabrook receive the tools, inspiration and support to achieve their goals. For your peace of mind, Seabrook facilities are CARF accredited and have earned membership in the renowned National Association of Addiction Treatment Providers (NAATP). When you or a loved one is ready to fully embrace healing at Seabrook’s “heart of recovery,” call to speak with an admissions specialist now: 856-455-7575. You can also send a confidential email to info@seabrook.org, and our admission specialists will be in touch promptly.